The development communications initiative has evolved from the emerging concerns from all the programme areas where there has been a clear-cut need expressed to fill the information, documentation and dissemination needs. The National Foundation for India has been administering two programmes for the journalists. One fellowship programme is aimed to enable them on research and write on critical development concerns and the other North East Media Exchange Programme is designed to create a better understanding of the issues of the North East. The National Foundation for India instituted a fellowship programme to encourage those engaged in journalism. The programme seeks to provide opportunities to talented journalists to enhance their skills and understanding. Four Fellowships are given under this programme. The objectives of the Fellowships are to create greater awareness in the media about national developmental issues and to build public opinion regarding the need to take positive measures to support people centered development. Promoting effective communication that draws attention to development concerns; to encourage excellence in journalism in far off corners of the country; and to facilitate a more informed development policy dialogue. The Fellows are selected by a Media Advisory Committee. 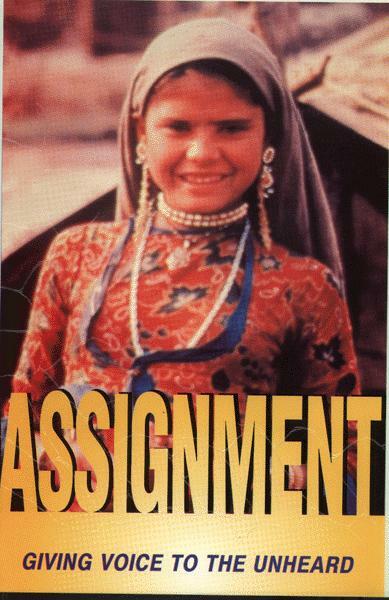 The theme for 1995-96 fellowship was The Girl Child. The National Foundation for India has instituted a Media Fellowship Programme for young, mid- career and sensitive journalists. The Fellowships allows them to take time off from their routine beats to research and publish articles on issues concerning the less privileged that need to be high on the national agenda, but do not find mention there for a variety of reasons. The Fellowships support the pursuit of in-depth, creative field research on these concerns and writing about them with adequate evidence - qualitative and quantitative - to impact the public policy and the domain of social consciousness. The Foundation awards four fellowships of Rs 1,00,000 lakh each every year. Journalists from small and regional language publications are encouraged to apply. Women journalists are particularly welcomed. Applicants must have demonstrated commitment to the development concerns of the less privileged in society. The NE-MEP is a special effort of the Development Communication Initiative in the North East. Awareness of the North Eastern region among most newspapers and journalists is extremely poor, and in many cases inaccurate perceptions of the prevailing situation have led to major gaps in understanding. The NFI-North East Media Exchange Programme is aimed at developing better understanding across the country, of a troubled and complex region, through an exchange of journalists of regional newspapers in the North East and metropolitan newspapers, in the beginning and later to vernacular press in the country, by creating an atmosphere of cooperation and peace through information sharing, dissemination and increasing public awareness and understanding.